Raising Kids To Think WE, Not ME! 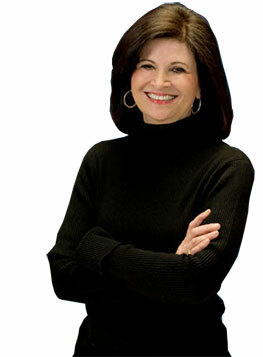 Research by Nancy Eisenberg confirms that we generally behave in ways consistent with our self-image. So children who see themselves as “Caring People” are more likely to step in, help others and do the right thing. That’s why I named “Moral Identity” as the second of the “Nine Crucial Empathy Habits” in my book, UnSelfie: Why Empathetic Kids Succeed in Our All About Me World. How do we help children develop Moral Identities so they see themselves as caring and kind and are more likely to use those beliefs to guide their behavior? How do we help our children learn to value other people’s thoughts and feelings? One of the most powerful ways is by involving them in real, meaningful first-hand “giving-to-others” type experiences. Robert Ornstein and David Sobel in their best-selling book, Healthy Pleasures, described the glow that people experience as a “Helper’s High.” It’s the euphoria that people feel when they help others close to them. And that “high” literally translates into a feeling of warmth in which you are full of energy but also very calm at the same time. 1. Likes to read, write, tell stories: Offer to read or write letters for young kids, the elderly, or people with disabilities; start a letter-writing campaign about an issue that concerns him; be a pen pal with an orphan overseas, donate used books to a library, homeless shelter, or classroom. 2. Enjoys sports, theatre, gymnastics, or dance: Help coach younger children in dancing, gymnastics, a favorite sport, or acting, volunteer for the Special Olympics; help students with disabilities at a local school; repair toys for needy or sick kids; sew blankets for a shelter. 3. Is original, enjoys working alone to pursue own interests and goals: “Adopt” someone who could use a friend such as an elderly person; teach a special hobby—magic, juggling, art—to needy kids; ask permission to start a food drive at the parents’ workplace or community. 4. Enjoys being with others, likes joining or leading groups: Start a club and make snacks for homeless kids or soup for a shelter; put together a walk-a-thon donate proceeds to a local charity; go door-to-door with a parent and friends collecting warm clothes to give to homeless. 5. Is musical, plays instruments, likes to sing: Play an instrument at nursing homes; organize sing-alongs at a shelter or assisted living; teach needy kids to play an instrument. 6. Is logical and mathematics, enjoys science and math, likes to figure things out: Tutor math, science, or computers to younger children; play chess or checkers to kids at a hospital; make flyers asking for specific donations to a shelter and post in the community. 7. Likes to draw and design, imaginative and creative: Paint or hang up hand-painted pictures at a shelter, make greeting cards and deliver them to a hospital; do craft projects with the elderly. 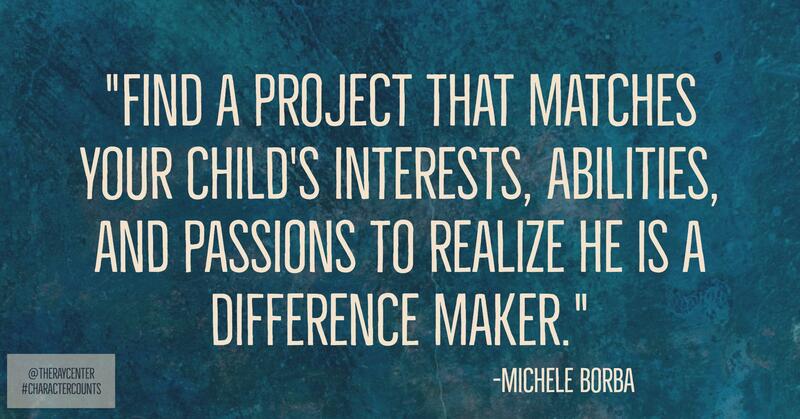 Find a project that matches your child’s interests, abilities and passions to realize he is a difference maker.